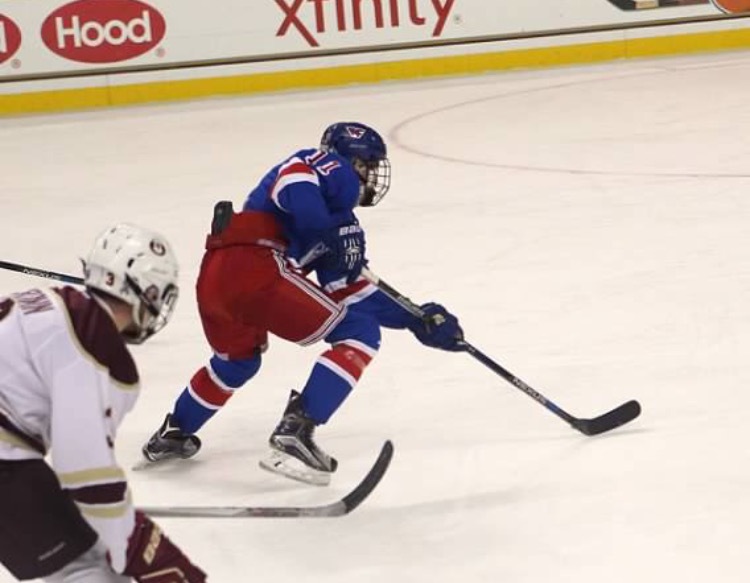 Defenseman Brandon Fortunato has elected to leave the program and plans to transfer to another school for his remaining two years of eligibility, according to several published reports and Tweets. 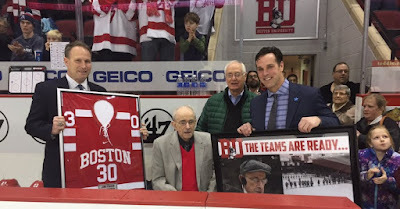 His decision was first reported by the Providence Journal’s Mark Divver, following a conversation with BU head coach David Quinn. Apparently concerned by the presence of nine blueliners on the roster, Fortunato reportedly had asked for playing time guarantees, according to SB Nation’s Jeff Cox. 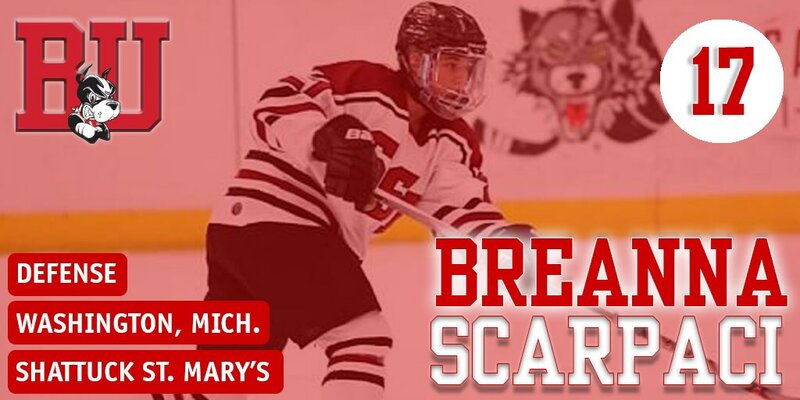 With his departure, BU’s defense corps is comprised of senior captain Doyle Somberby, juniors Brien Diffley, Brandon Hickey and John MacLeod, sophomores Charlie McAvoy and Shane Switzer, and freshmen Dante Fabbro and Chad Krys. Shouldn't pay attn to internet trolls but BU staff did NOT force Fortunato out like some saying. He wanted guaranteed ice time/other issues. USA Hockey’s Junior National Team Evaluation camp begins today in Plymouth, Michigan with six Terriers on the 42-man roster. 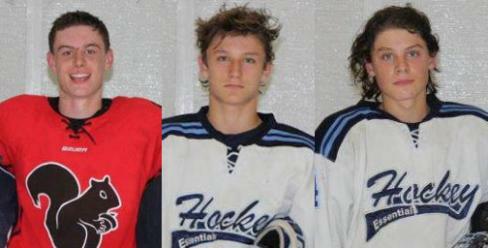 The contingent is led by two returnees from last year’s World Junior Championships squad, McAvoy and Chad Krys. Also rostered are sophomore Jordan Greenway and freshmen Kieffer Bellow, Clayton Keller (who celebrated his 18th birthday yesterday) and Jake Oettinger. 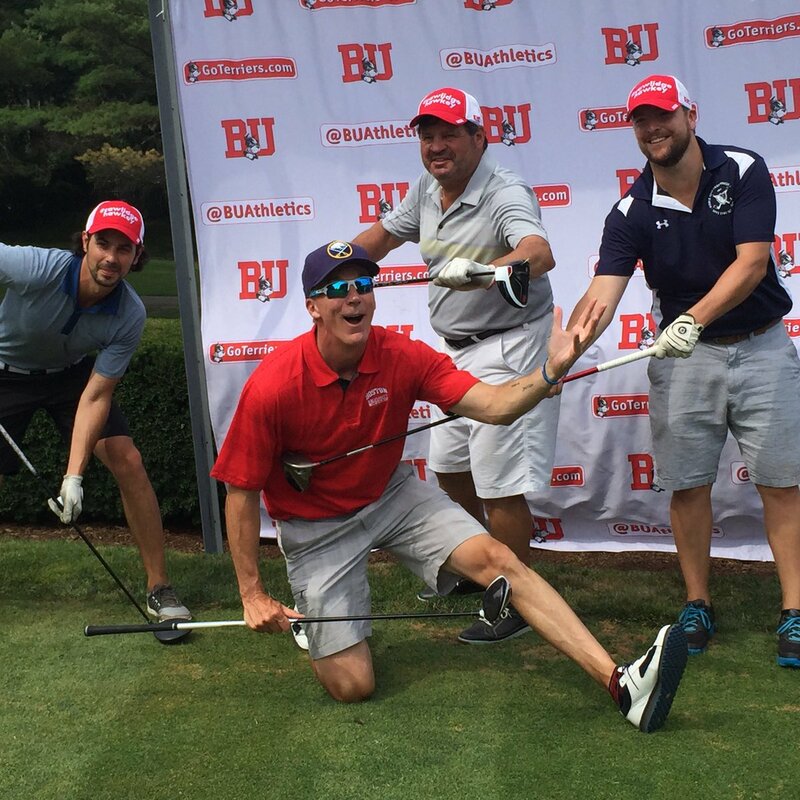 96 Terrier hockey alums turned out on Monday for the annual golf and banquet event at Woodland Golf Club in Auburndale, Mass. The winning group with the lowest score was comprised of Doug Friedman, Dan Donato, John Jenkins, Mike Prendergast and Rich Brennan. 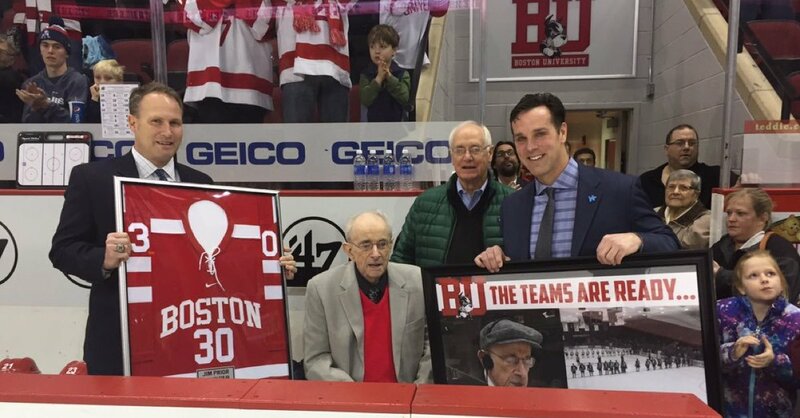 ESPN’s John Buccigross joined the alums in a foursome (photo) with Mike Eruzione, Mike Eruzione, Jr., and Dan McGoff. Former Terrier standout, NHLer and U.S. Olympian Clark Donatelli has receive a multi-year contract extension as head coach of the AHL Wilkes Barre/Scranton Penguins. Donatelli, who will be coaching U.S. Select U18 team at Ivan Hlinka tourney in August, assumed the Baby Pens job last season when Mike Sullivan was moved up to the Pittsburgh head coaching job and led the Penguins to the Stanley Cup. 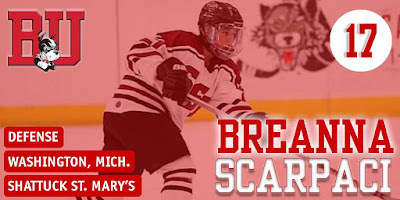 Continuing the introduction of the Terrier recruit class for 2016-17 we began last week, three more freshmen: defenseman Breanna Scarpaci from the 2016 U19 National Champions, Shattuck St. Mary's; defenseman Katie Shannahan from Detroit Little Caesars, where she scored 14 points last season; and, forward Natasza Tarnowski, who captained the Ottawa Lady Senators and led the team with 51 points (20G, 31A). Sophomore Sammy Davis, who earned Hockey East All-Rookie honors for her 17 goal, 26 point season, has been invited to the USA Hockey Women's National Festival, set for Lake Placid, N.Y. beginning Aug. 8. She is one of 38 players rostered for the 22-and-under event.